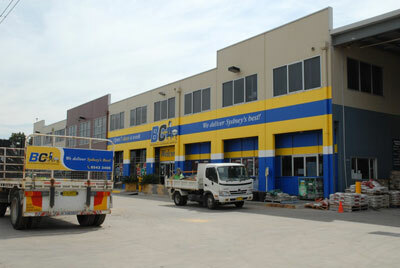 About Us : BCSands Online Shop - Building and Landscape Supplies, we supply Sydney's best! BC Sands has been supplying landscaping, building supplies and Sydney firewood for over thirty years. We pride ourselves on always bringing our customers the best – on time and in full! We deliver throughout Sydney and beyond, or, if you prefer to pick up, the staff at our yard in Sydney's South will load your car, trailer or truck for you. We also have a hardware store to support both trade and general customers, and our friendly sales staff are always happy to answer any questions. It's even easier to order by phone on 8543 3401 - or from our online shop. Online orders enjoy a 2.5% discount on products, plus discounted delivery! One of our fleet of over thirty trucks will make sure your order gets to you on time and in full – often on the day of order, and usually within 24 hours! We deliver product all over Sydney - and can also deliver further afield, with regular delivery dates for Wollongong, the south coast, Canberra and the ACT, plus other areas by arrangement. Our range includes over 10,000 products and we can deliver even more, including the most obscure products. Our staff has vast knowledge and experience in the industry – over three hundred years' experience in total! So let us know what you are looking for and we will track it down for you!